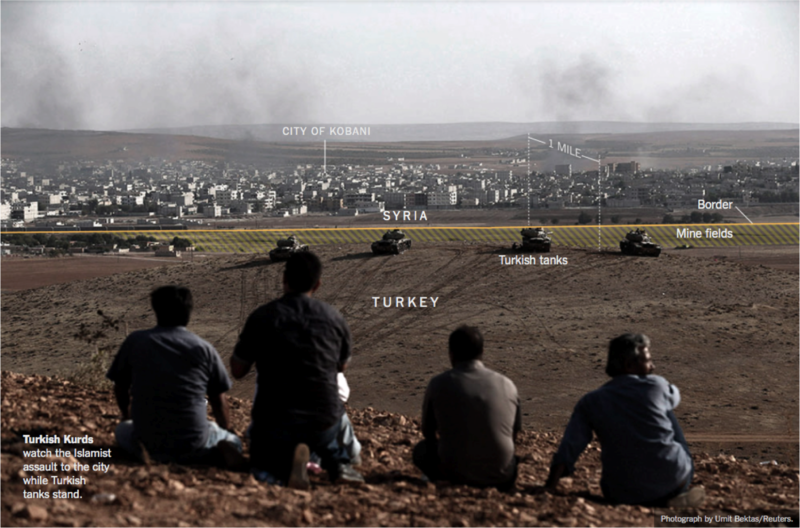 Video continues to be a powerful way to capture human rights abuses around the world. Videos posted to social media can be used to hold perpetrators of gross violations accountable. But video footage poses a “Big Data” challenge to human rights organizations. Two billion smartphone users means almost as many video cameras. This leads to massive amounts of visual content of both suffering and wrong-doing during conflict zones. Reviewing these videos manually is a very labor intensive, time consuming, expensive and often traumatic task. So my colleague Jay Aronson at CMU has been exploring how artificial intelligence and in particular machine learning might solve this challenge. Their plan had originally been to manually synchronize more than 65 hours of video footage from 520 videos taken during the morning of February 20, 2014. But after working full-time over several months, they were only able to stitch together about 4 hours of the total video using visual and audio cues in the recording.” So Jay and team used their system to make sense of the footage. They were able to automatically synchronize over 4 hours of the footage. The figure above shows an example of video clips synchronized by the system. I’ve been following Jay’s applied research for many years now and continue to be a fan of his approach given the overlap with my own work in the use of machine learning to make sense of the Big Data generated during major natural disasters. I wholeheartedly agree with Jay when he reflected during a recent call that the use of advanced techniques alone is not the answer. Effective cross-disciplinary collaboration between computer scientists and human rights (or humanitarian) practitioners is really hard but absolutely essential. This explains why I wrote this practical handbook on how to create effective collaboration and successful projects between computer scientists and humanitarian organizations. “Challenging state power over maps and its categorization of land uses by counter-mapping indigenous and local claims to territory has developed into an important movement in Indonesia.” As the authors of the new study rightly note, “Mapping needs to be understood as a political process rather than a merely technical tool. Mapping is not only an act of how to produce maps, it is important to always ask who produces the maps, how people can access the maps and how the maps can be used for emancipatory purposes.” Counter-mapping is thus a political process as well. And this counter-mapping movement is now experimenting with “grassroots UAVs” (or community drones) to bolster their political actions. 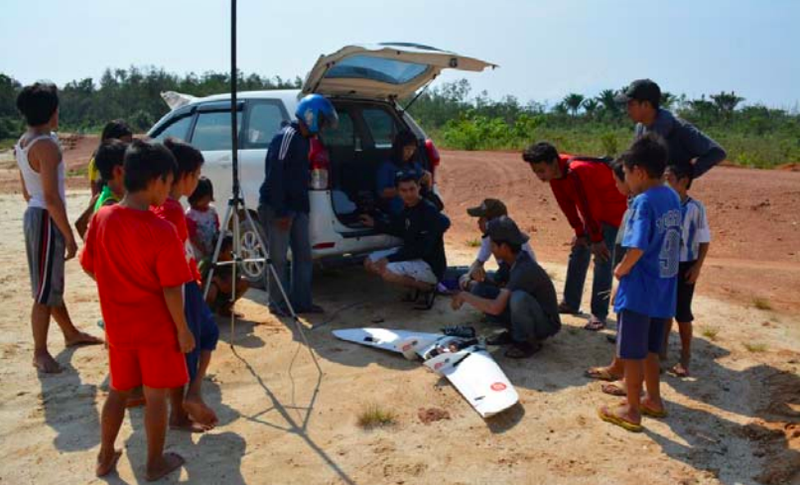 Activists in Indonesia initially used their UAV to capture “high quality and high-resolution spatial data in areas where access was restricted by company security and police.” Where exactly did they get their UAV from? They built one from scratch: “Irendra Radjawali built the first drone without any former training, by using the Internet and the online forum. He also sourced much of the material second hand via ebay.” The advantage of this DIY approach is the relatively low costs involved. 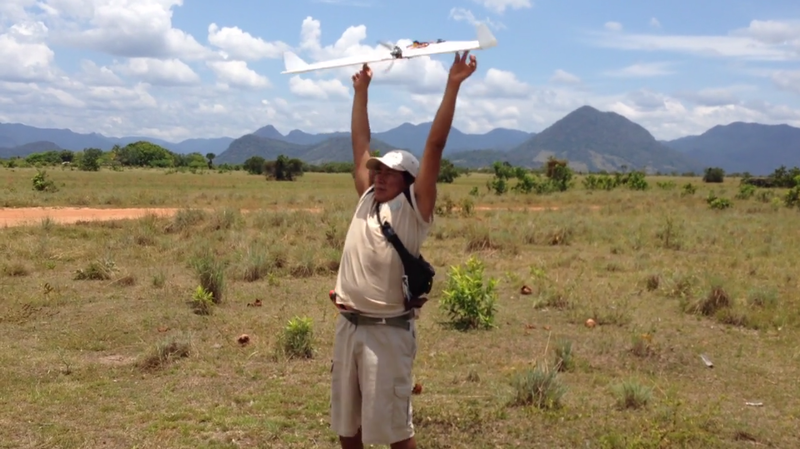 This UAV, coupled with a mapping camera, came to just over USD 500. I’ve been an avid fan of Digital Democracy since 2008 and even had the honor of serving on their Advisory Board during the early days. So I was thrilled when friends Emily Jacobi and Gregor MacLennan told me they were interested in using drones/UAVs for their projects. Six months later, the pictures above explain my excitement. When Gregor traveled down to Guyana a few months ago, he didn’t bring a drone; he simply brought a bunch of parts and glue, lots of glue. 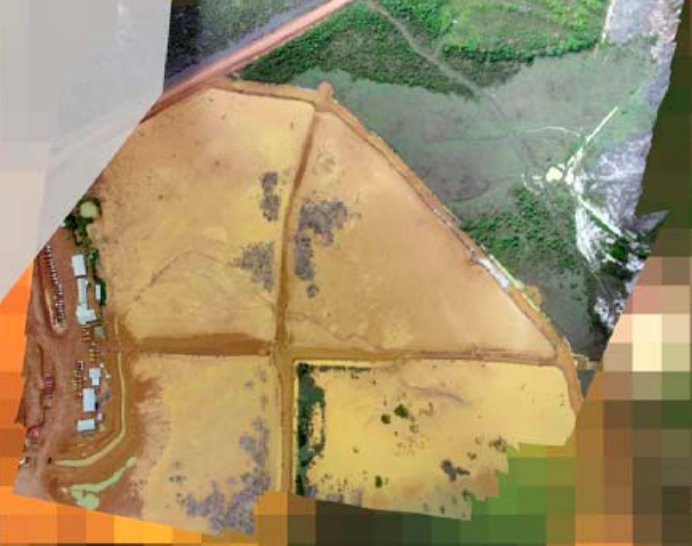 “We didn’t want to just fly into Guyana and fly a drone over the local villages,” writes Gregor. “Our interest was whether this technology could be something that can be used and controlled by the commumunities themselves, and become a tool of em-powerment for helping them have more of a say in their own future. 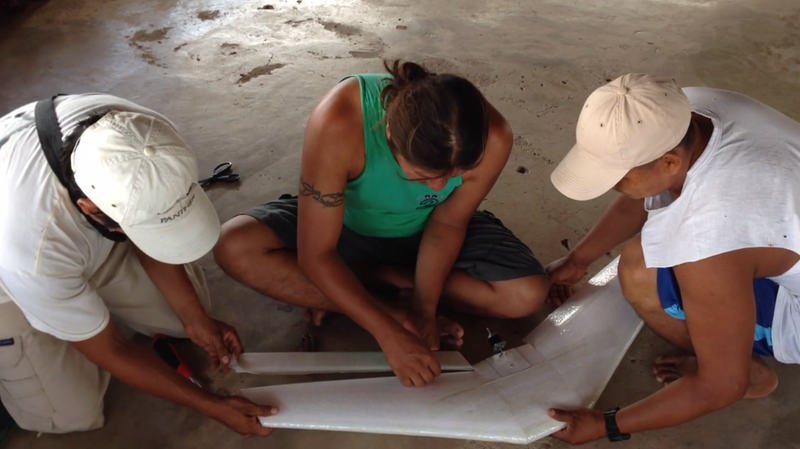 We wanted the Wapichana to be able to repair it themselves, fly it themselves, and process the images to use for their own means.” Oh, and by the way, Gregor had never built a drone before. And that’s the beauty of Digital Democracy’s approach: co-learning, co-creation and co-experimentation. Moreover, Emily & Gregor didn’t turn to drones simply because it’s the latest fad. They tried using satellite imagery to document illegal logging and deforestation in Guyana but the resolution of said imagery was limited. So they figured drones might do the trick instead. 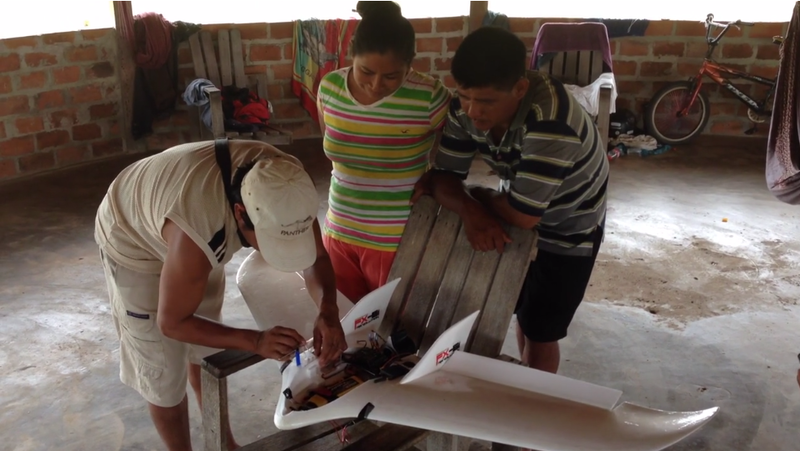 Could this technology be a “tool for positive change in the hands of indigenous communities?” Could local communities in Guyana use flying robots to create maps and thus monitor illegal logging and deforestation? Building the drone was truly a community effort. “When the motor mount broke, the team scoured the village for different types of plastic, and fashioned a new mount from an old beer crate. The drone was no longer a foreign, mysterious piece of technology, but something they owned, built, & therefore understood.” And that is what it’s all about. Check out the neat video above to see the team in action and the 3D results below based on the data collected. 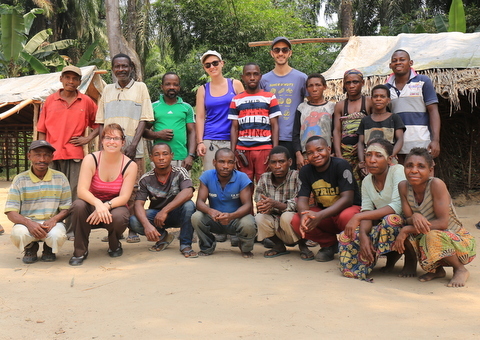 … another team was learning about Drones for Good. Discussions surrounding use of drones, or UAVs, have typically “centered on their use by governments, often for the purpose of surveillance and warfare.” But as colleague Austin Choi-Fitzpatrick rightly notes in his new study, “[t]his focus on the state’s use obscures the opportunity for civil society actors, including social movements, to make use of these technologies.” Austin thus seeks to high-light civil society uses, “ranging from art to digital disruption.” The latter is what I am particularly interested given my previous writings on the use of non-lethal UAVs for civil resistance and for peacebuilding. One of my favorite books, Wasp, illustrates this asymmetry perfectly; as does the Syria Air Lift project. 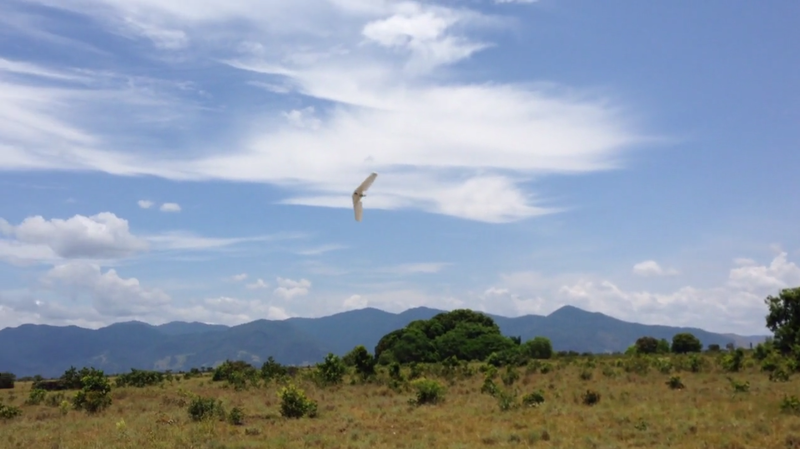 The latter seeks to fly swarms of UAVs to deliver aid to civilians caught in conflict zones. Little surprise, then, that the State is clamping down on civil society uses of UAVs. At times, they even shoot the UAVs down, as evidenced when “police in Istanbul shot down a camera-equipped UAV while it was monitoring large anti-government protests […].” Authorities would not be shooting down UAVs if they did not pose some form of (real or imagined) threat. And even when they pose no direct threat, UAVs are clearly annoying enough to react to (like a wasp or annoying mosquito). Annoyance is a key tactic in civil guerrilla warfare and civil resistance. 4. Public interest: also self-explanatory but “especially sensitive to the importance of investigative journalism that holds to account the powerful and well-resourced, despite attempts by established interests to discredit these efforts.” Public interest should also include the interests of the local community. 5. Privacy: straightforward issue but not easily resolved: “creating a [privacy] framework that applies in all circumstances is nearly impossible in an era in which digital privacy appears to be a mirage […]. 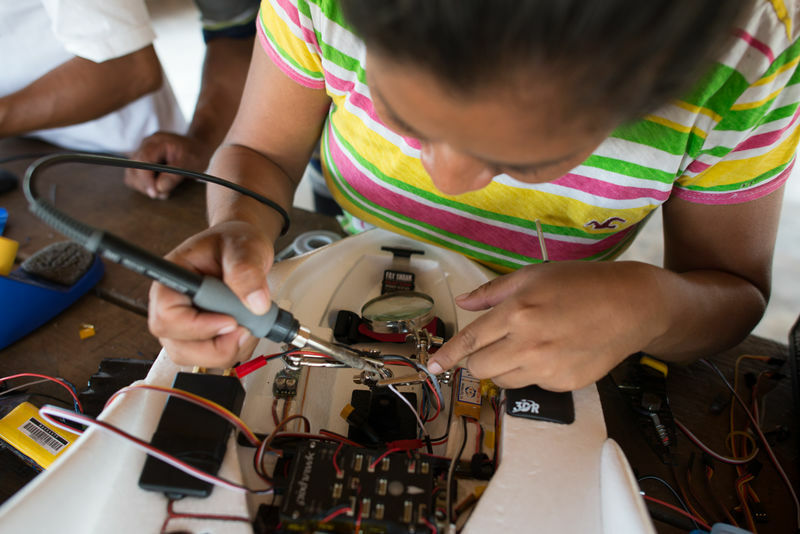 Are there other principles that should factor into the “Drones for Good” frame-work? If so, what are they? I’ll also be asking these questions in Dubai this week where I’m speaking at the Drones for Good Festival. In January 2014, I wrote this blog post announcing my intention to write a book on Digital Humanitarians. Well, it’s done! And launches this week. The book has already been endorsed by scholars at Harvard, MIT, Stanford, Oxford, etc; by practitioners at the United Nations, World Bank, Red Cross, USAID, DfID, etc; and by others including Twitter and National Geographic. These and many more endorsements are available here. Brief summaries of each book chapter are available here; and the short video below provides an excellent overview of the topics covered in the book. Together, these overviews make it clear that this book is directly relevant to many other fields including journalism, human rights, development, activism, business management, computing, ethics, social science, data science, etc. In short, the lessons that digital humanitarians have learned (often the hard way) over the years and the important insights they have gained are directly applicable to fields well beyond the humanitarian space. To this end, Digital Humanitarians is written in a “narrative and conversational style” rather than with dense, technical language. The story of digital humanitarians is a multifaceted one. Theirs is not just a story about using new technologies to make sense of “Big Data”. For the most part, digital humanitarians are volunteers; volunteers from all walks of life and who occupy every time zone. Many are very tech-savvy and pull all-nighters, but most simply want to make a difference using the few minutes they have with the digital technologies already at their fingertips. Digital humanitarians also include pro-democracy activists who live in countries ruled by tyrants. This story is thus also about hope and humanity; about how technology can extend our humanity during crises. To be sure, if no one cared, if no one felt compelled to help others in need, or to change the status quo, then no one even would bother to use these new, next generation humanitarian technologies in the first place. I believe this explains why Professor Leysia Palen included the following in her very kind review of my book: “I dare you to read this book and not have both your heart and mind opened.” As I reflected to my editor while in the midst of book writing, an alternative tag line for the title could very well be “How Big Data and Big Hearts are Changing the Face of Humanitarian Response.” It is personally and deeply important to me that the media, would-be volunteers and others also understand that the digital humanitarians story is not a romanticized story about a few “lone heroes” who accomplish the impossible thanks to their super human technical powers. There are thousands upon thousands of largely anonymous digital volunteers from all around the world who make this story possible. And while we may not know all their names, we certainly do know about their tireless collective action efforts—they mobilize online from all corners of our Blue Planet to support humanitarian efforts. My book explains how these digital volunteers do this, and yes, how you can too. Today, this growing, cross-disciplinary community of digital humanitarians are crafting and leveraging ingenious crowdsourcing solutions with trail-blazing insights from advanced computing and artificial intelligence in order to make sense of “Big Data” generated during disasters. In virtually real-time, these new solutions (many still in early prototype stages) enable digital volunteers to make sense of vast volumes of social media, SMS and imagery captured from satellites & UAVs to support relief efforts worldwide. Digital humanitarians are not perfect, they’re human, they make mistakes, they fail; innovation, after all, takes experimenting, risk-taking and failing. But most importantly, these digital pioneers learn, innovate and over time make fewer mistakes. In sum, this book charts the sudden and spectacular rise of these digital humanitarians and their next generation technologies by sharing their remarkable, real-life stories and the many lessons they have learned and hurdles both cleared & still standing. In essence, this book highlights how their humanity coupled with innovative solutions to “Big Data” is changing humanitarian response forever. Digital Humanitarians will make you think differently about what it means to be humanitarian and will invite you to join the journey online. And that is what it’s ultimately all about—action, responsible & effective action. Why did I write this book? The main reason may perhaps come as a surprise—one word: hope. In a world seemingly overrun by heart-wrenching headlines and daily reminders from the news and social media about all the ugly and cruel ways that technologies are being used to spy on entire populations, to harass, oppress, target and kill each other, I felt the pressing need to share a different narrative; a narrative about how selfless volunteers from all walks of life, from all ages, nationalities, creeds use digital technologies to help complete strangers on the other side of the planet. I’ve had the privilege of witnessing this digital good-will first hand and repeatedly over the years. This goodwill is what continues to restore my faith in humanity and what gives me hope, even when things are tough and not going well. 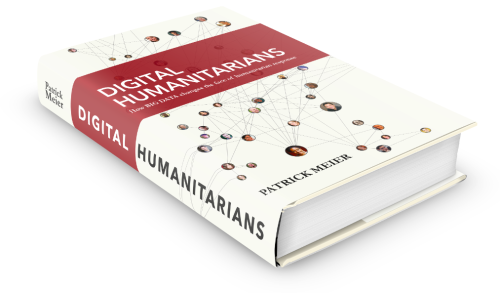 And so, I wrote Digital Humanitarians first and fore-most to share this hope more widely. We each have agency and we can change the world for the better. I’ve seen this and witnessed the impact first hand. So if readers come away with a renewed sense of hope and agency after reading the book, I will have achieved my main objective. For updates on events, talks, trainings, webinars, etc, please click here. I’ll be organizing a Google Hangout on March 5th for readers who wish to discuss the book in more depth and/or follow up with any questions or ideas. If you’d like additional information on this and future Hangouts, please click on the previous link. If you wish to join ongoing conversations online, feel free to do so with the FB & Twitter hashtag #DigitalJedis. If you’d like to set up a book talk and/or co-organize a training at your organization, university, school, etc., then do get in touch. If you wish to give a talk on the book yourself, then let me know and I’d be happy to share my slides. And if you come across interesting examples of digital humanitarians in action, then please consider sharing these with other readers and myself by using the #DigitalJedis hashtag and/or by sending me an email so I can include your observation in my monthly newsletter and future blog posts. I also welcome guest blog posts on iRevolutions. Naturally, this book would never have existed were it for digital humanitarians volunteering their time—day and night—during major disasters across the world. This book would also not have seen the light of day without the thoughtful guidance and support I received from these mentors, colleagues, friends and my family. I am thus deeply and profoundly grateful for their spirit, inspiration and friendship. Onwards! Three years ago, 167 digital volunteers and I combed through satellite imagery of Somalia to support the UN Refugee Agency (UNHCR) on this joint project. The purpose of this digital humanitarian effort was to identify how many Somalis had been displaced (easily 200,000) due to fighting and violence. Earlier this year, 239 passengers and crew went missing when Malaysia Flight 370 suddenly disappeared. 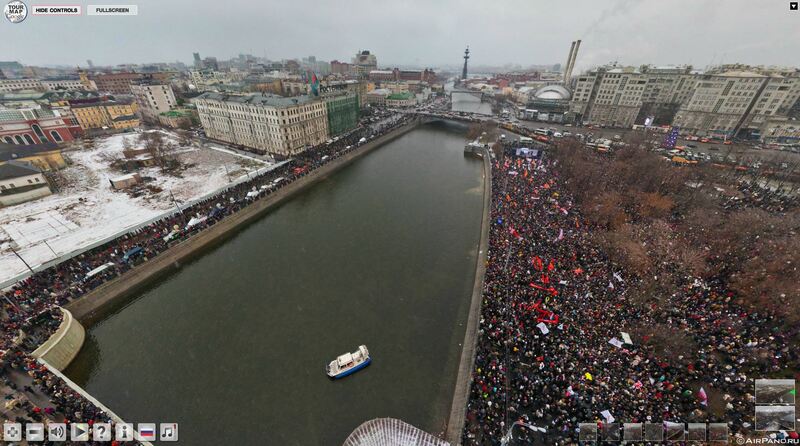 In response, some 8 million digital volunteers mobilized as part of the digital search & rescue effort that followed. So in the first case, 168 volunteers were looking for 200,000+ people displaced by violence and in the second case, some 8,000,000 volunteers were looking for 239 missing souls. Last year, in response to Typhoon Haiyan, digital volunteers spent 200 hours or so tagging social media content in support of the UN’s rapid disaster damage assessment efforts. According to responders at the time, some 11 million people in the Philippines were affected by the Typhoon. In contrast, well over 20,000 years of volunteer time went into the search for Flight 370’s missing passengers. What to do about this heavily skewed distribution of volunteer time? Can (or should) we do anything? Are we simply left with “May the Crowd be with You”?The massive (and as yet unparalleled) online response to Flight 370 won’t be a one-off. We’re entering an era of mass-sourcing where entire populations can be mobilized online. What happens when future mass-sourcing efforts ask digital volunteers to look for military vehicles and aircraft in satellite images taken of a mysterious, unnamed “enemy country” for unknown reasons? Think this is far-fetched? As noted in my forthcoming book, Digital Humanitarians, this online, crowdsourced military surveillance operation already took place (at least once). As we continue heading towards this new era of mass-sourcing, those with the ability to mobilize entire populations online will indeed yield an impressive new form of power. And as millions of volunteers continue tagging, tracing various features, this volunteer-generated data combined with machine learning will be used to automate future tagging and tracing needs of militaries and multi-billion dollar companies, thus obviating the need for large volumes of volunteers (especially handy should volunteers seek to boycott these digital operations). At the same time, however, the rise of this artificial intelligence may level the playing field. 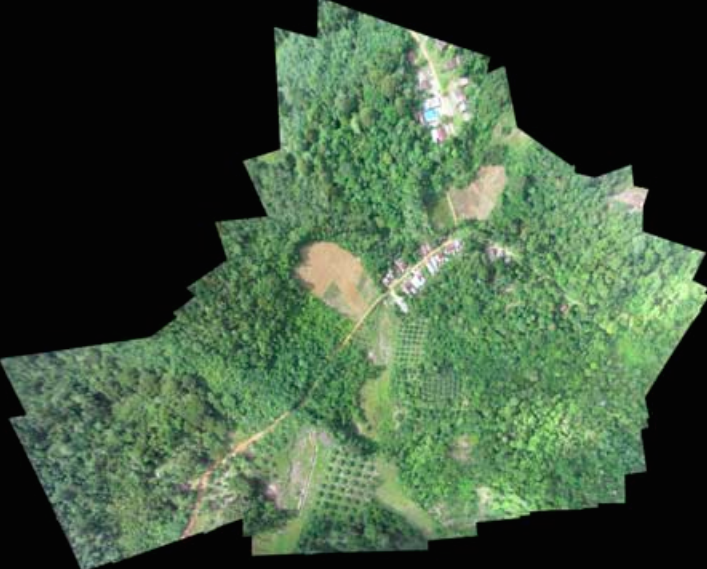 But few players out there have ready access to high resolution satellite imagery and the actual technical expertise to turn volunteer-generated tags/traces into machine learning classifiers. To this end, perhaps one way forward is to try and “democratize” access to both satellite imagery and the technology needed to make sense of this “Big Data”. Easier said than done. But maybe less impossible than we may think. Perhaps new, disruptive initiatives like Planet Labs will help pave the way forward.